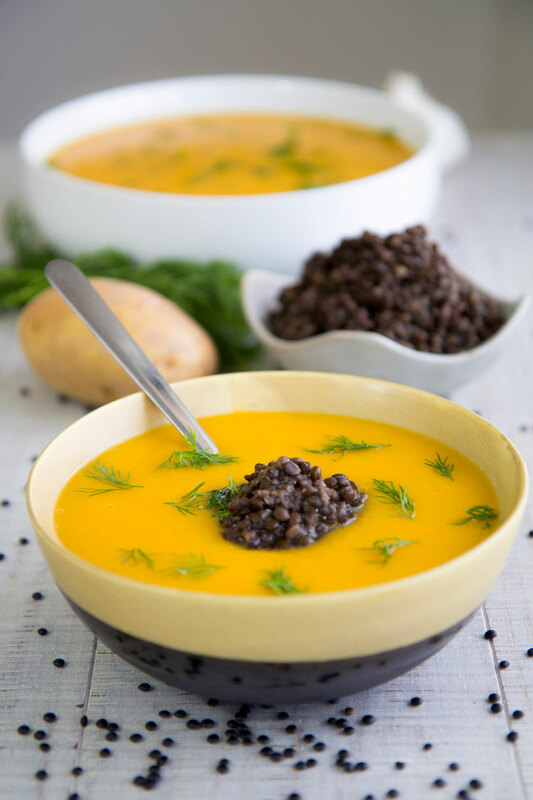 This butternut squash soup is tasty and healthy; really a vegan and detox delicacy! The squash cream is sweet and spicy, thanks to the Cayenne pepper and turmeric powder. 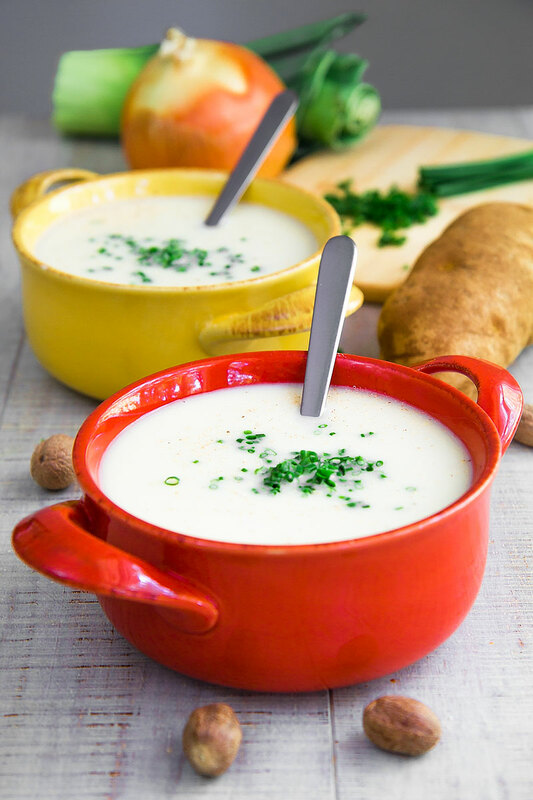 The Beluga lentils are delicious surprise into the cream soup. Finally, fresh dill gives a pleasant note of freshness.